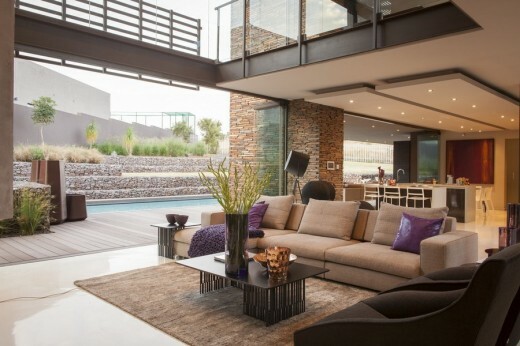 The client’s brief was for a spacious home that expressed its appreciation for outdoor living. 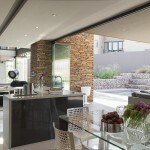 An open plan and practical house that lived out onto the garden was of utmost importance to them. 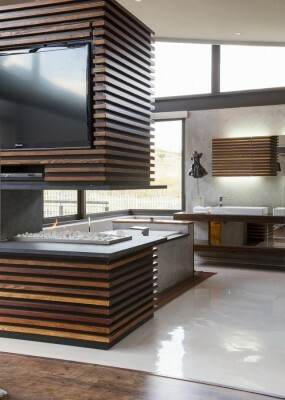 Consequently the design developed into a layout that encouraged such a lifestyle. 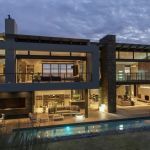 With views to the garden from almost every room, and large living areas that seamlessly flowed out onto the covered patio, this home merges the thresholds between inside and outside. 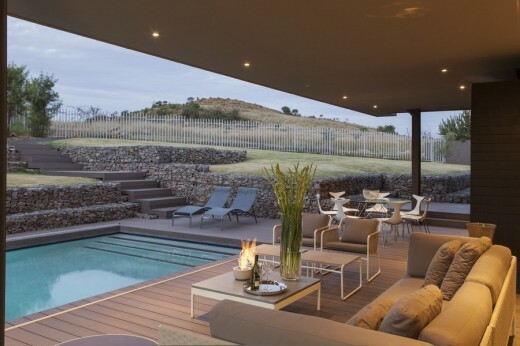 Gracefully positioned within a secured nature reserve that affords you the privilege of appreciating the comfort of outdoor living, this particular home was inspired by its own setting. Natural materials were carefully selected and strategically placed throughout the home serving as gentle reminders of the serene location this house finds itself in. 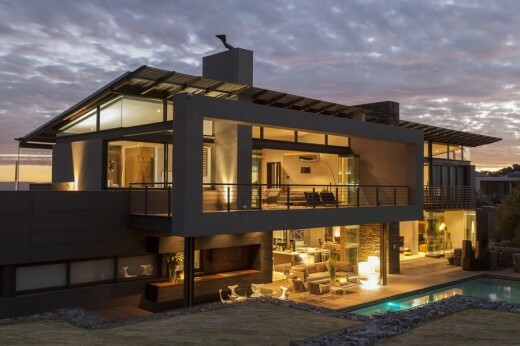 The selection of materials assisted in ensuring the house blends in discreetly with its natural surroundings while earthy colors unify the site with the home. Splashes of color were used to liven the interior spaces with emphasis given to textures and furnishings. 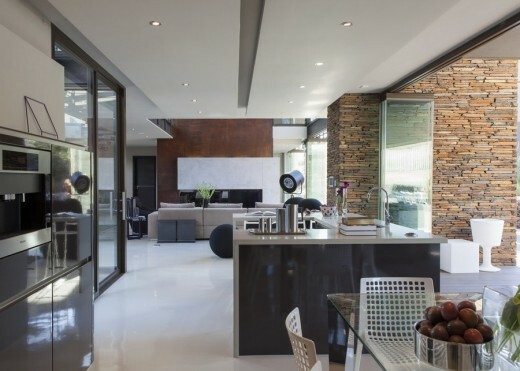 The concept incorporated the idea of floating elements which resulted in distinctive features that distinguish this house as a Nico van der Meulen masterpiece. The concept is clear and evident from the moment you arrive as your attention is drawn to floating planes hovering above you, as if suspended in mid air. Upon closer inspection these planes appear to be the main roof structure which at first seemed to be more of a decorative feature rather than a functional requirement. 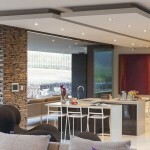 It is this very principle in design that creates beautiful and practical houses which become architectural works of art. 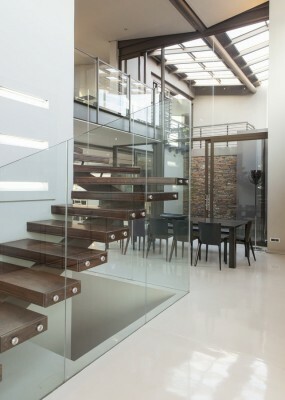 Moving through the house and catching a glimpse of the floating staircase, you are drawn in by the transparency and openness of this home. Escorted graciously through the living spaces into the garden, you are once again introduced to what seems to be a floating block hovering in mid air which in fact is the main bedroom. The concept of floating elements was evident from every perspective and vantage point making sure this home always captivated your attention. The site has a southern entry which was favorable in that it allowed for the entire northern façade where all the living rooms are positioned to open up onto a private north facing garden. The site sloping upwards towards the north also resulted in the garden having to be stepped and terraced with gabion walls creating interest even in the landscaping. Having a garden that is on a different level can often pose the problem of a disconnection between the covered patio and the pool/garden area. It was of utmost importance to ensure that the house and garden still related and interacted as one space rather than two disconnected areas. This was achieved by leveling the pool area and terracing the upper parts of the garden. The best part of this design is the way the entrance entices your curiosity with long stone cladded screen walls and once inside, the transparency and openness of this home that lies behind these solid entrance walls creates interesting contrast.